The Germans are closing in. And twelve-year-old Anton knows his family can't outrun them. A web of underground caves seems like the perfect place to hide. But danger lurks above the surface. Ruthless Major Karl Von Duesen of the Gestapo has made it his mission to round up every Jew in the Ukrainian countryside. 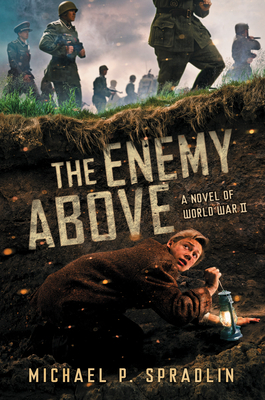 Anton knows if his community is discovered, they will be sent off to work camps...or worse. When a surprise invasion catches them off guard, Anton makes a radical decision. He won't run any longer. And he won't hide. He will stop being the hunted...and start doing some hunting of his own. Michael P. Spradlin's newest thriller is the ultimate game of cat and mouse set during one of the darkest moments in history. "The story is enjoyable and reveals a tender theme about the power of the human spirit." "Readers ready for a strong dose of survival and war action will find this well-researched episode entirely gripping."